All vehicles manufactured today are expected to meet certain safety standards. While most vehicles will meet or exceed safety standards, some will fall short, and when they do, consumers get hurt. Car manufacturers repeatedly crash vehicles to test crashworthiness, but despite their testing, some cars will make it onto the market even though they do not keep drivers and passengers safe during an accident. When a vehicle fails to meet certain crashworthiness standards, occupants can suffer a variety of injuries, including neck and back injuries, spinal cord injuries, traumatic brain injuries (TBIs), broken bones, paralysis, lacerations, and abrasions. For some victims, the injuries will be permanent and require a lifetime of medical care, and in some instances these accidents will prove fatal. The exact cause of an accident isn’t always apparent. In cases where crashworthiness is called into question, a thorough investigation will need take place to determine the root cause of the motor vehicle accident. 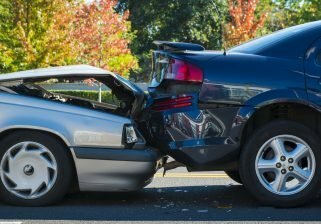 An experienced crashworthiness lawyer will be able to properly investigate the accident, collect evidence, and engage experienced accident reconstructionists to help prove your case. At Sahadi Legal Group, we know how to investigate crashworthiness claims to hold manufacturers accountable. We work tirelessly for our clients so they can obtain the compensation they need. Contact our crashworthiness attorneys today to schedule a free consultation to discuss your accident.